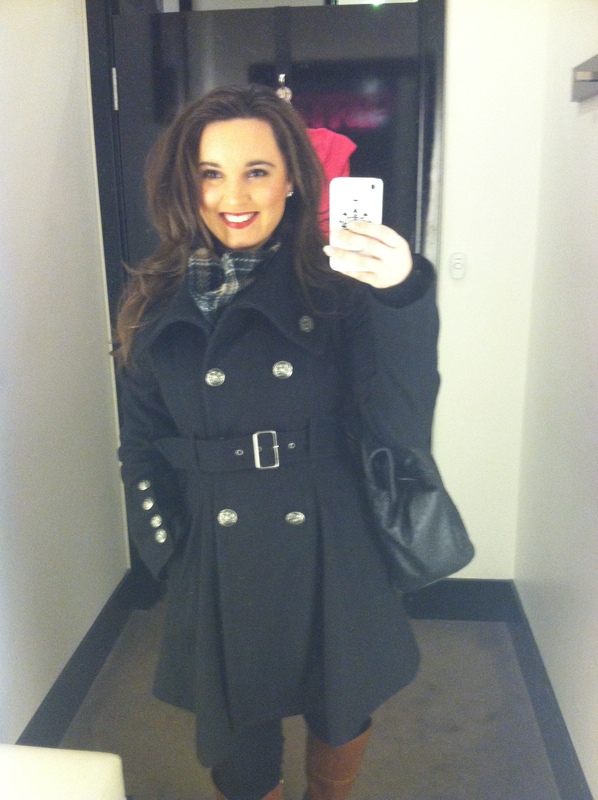 With good reason, it’s been a while since this girl has gone shopping or enjoyed a Sunday out. Today, I decided to discard my pajamas, actually curl my hair, and wear my red lipstick and go to the local town center. 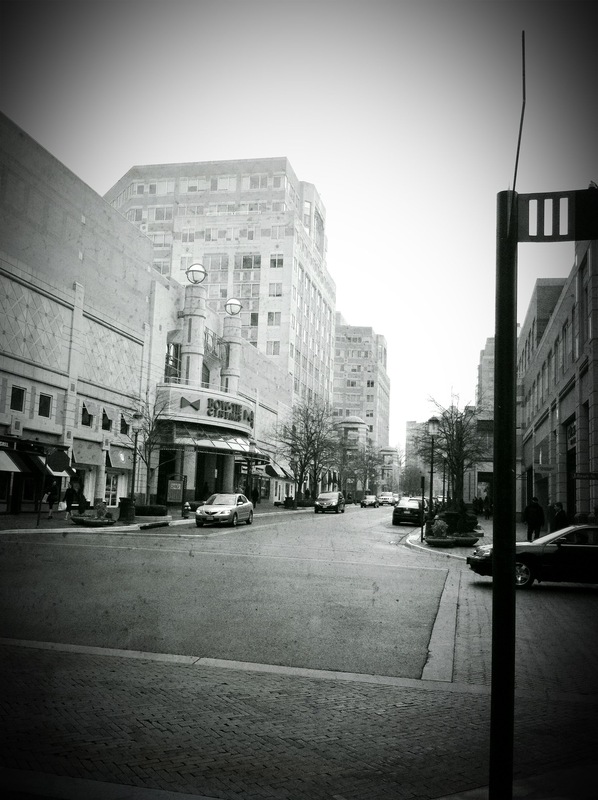 It was time to get out and enjoy myself, even with it flurrying all throughout – it just made it more perfect. 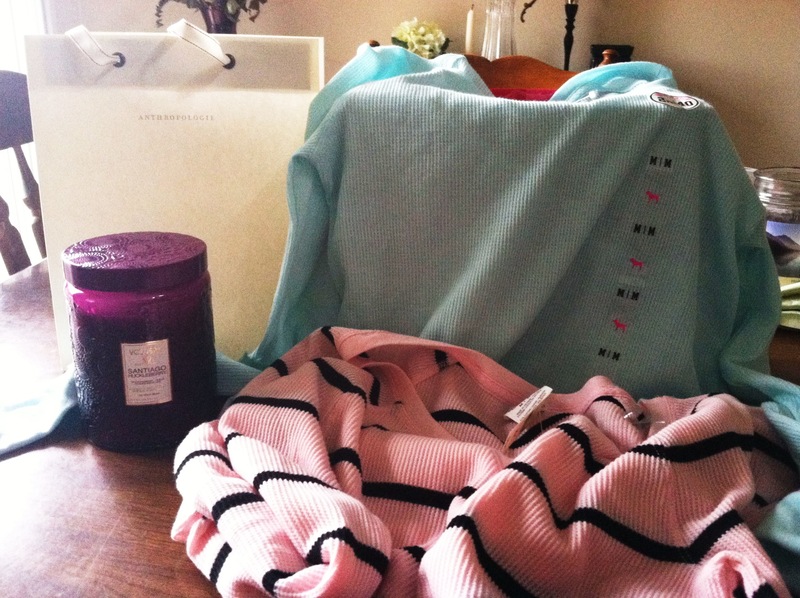 Thanks to my sister, I got to finally spend the gift card she gave me for Christmas at Victoria’s Secret. I got two cozy and stylish pajama tops for $30 (on sale, 2 for $15). A long time ago I got into the habit of wearing baggy t-shirts and pants to bed…definitely trying to turn my bedtime wardrobe around. I loved the baby pink and blue colors. A much needed visit to Anthropologie was in order as well. The clothes are out of my budget, but the other home decor things are worth the visit. 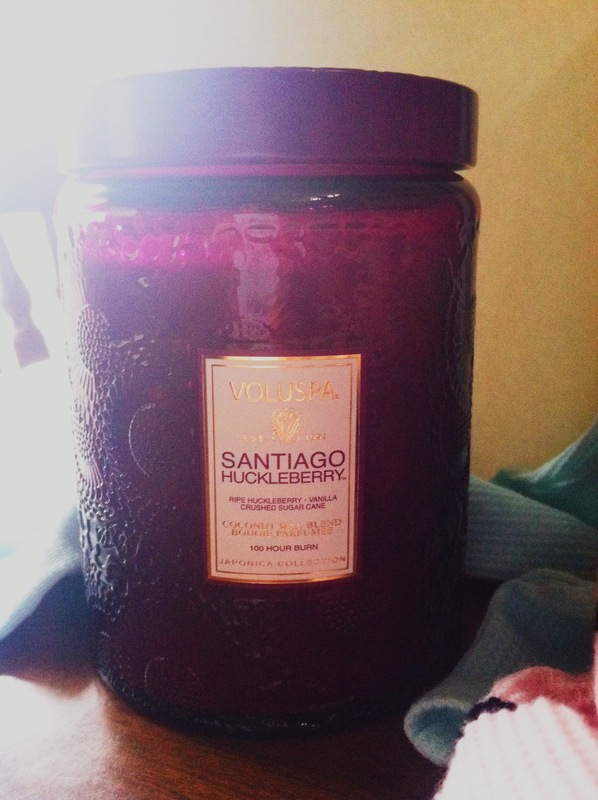 I’ve been eying the Voluspa candles there since Spring of last year and finally got my hands on one! I got Santiago Huckleberry. It was either that one or French Cade, which I’ll have to go back at some point and get. You know how I’m a sucker for candles…The glass jar is gorgeous and could be a great decorative piece while it’s burning or even after the candle is long gone.